In a thinly populated, economically struggling patch of eastern Oklahoma near the border, Joshua L. Wheeler had a difficult childhood and very few options. The experience from his childhood helped shape him as a man who was comfortable with significant amounts of responsibility, family members said. The Army offered an escape, but it turned into much more. He made a career in uniform, first as Army Ranger and later as a highly decorated combat veteran of wars in Iraq and Afghanistan in the Army’s elite Delta Force, a secretive counterterrorism force first established in the late 1970s. Joshua Wheeler enlisted in 1995, and in 1997 he joined the Army Rangers, a specially trained group within the Army. From 2004, he was assigned to Army Special Operations Command, based at Fort Bragg, N.C., which includes Delta Force, the extremely selective unit that carries out some of the military’s riskiest operations. He completed specialized training in several fields, including parachute jumping, mountaineering, leading infantry units, explosives and urban combat. 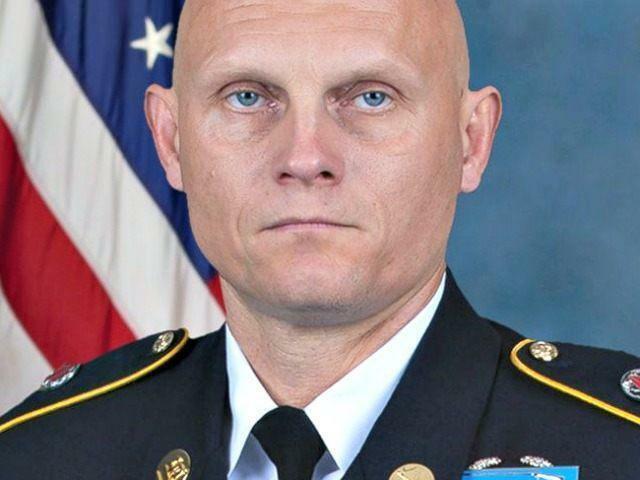 On October 22, 2015, he became the first U.S. service member to die in combat against the Islamic State after getting hit by small-arms fire during a raid carried out by Kurdish forces on a militant-run prison in Hawijah, Iraq. The mission freed some 70 prisoners who U.S. officials think would have been executed and dumped in a mass grave later that day. When Kurdish commandos went on a helicopter raid to rescue about 70 hostages who were about to be executed by Islamic State militants, the plan called for the Americans who accompanied them to offer support, not join in the action, Defense Secretary Ashton B. Carter said on Friday. But then the Kurdish attack on the prison where the hostages were held stalled, and Sergeant Wheeler responded. A former Delta Force officer who had commanded Sergeant Wheeler in Iraq and had been briefed on the mission said that the Kurdish fighters, known as Peshmerga, tried to blast a hole in the compound’s outer wall, but could not. Sergeant Joshua Wheeler and another American, part of a team of 10 to 20 Delta Force operators who were present, ran up to the wall, breached it with explosives, and were the first ones through the hole. “When you blow a hole in a compound wall, all the enemy fire gets directed toward that hole, and that is where he was,” said the former officer, who spoke on condition of anonymity because he was not authorized to discuss the operation. The military does not officially acknowledge the existence of the Delta Force, the Army counterpart to Navy SEAL teams. The mission itself was a success, and the more than 70 hostages were freed. A few of the Peshmerga fighters were injured, while five ISIL militants were detained during the operation and approximately 20 were killed. Sergeant Wheeler was a veteran of 14 deployments to Iraq and Afghanistan, with a chest full of medals. His honors included four Bronze Stars with the letter V, awarded for valor in combat; and seven Bronze Stars, awarded for heroic or meritorious service in a combat zone. Navy Senior Chief Special Warfare Operator (SEAL) Robert J. Reeves died on August 6, 2011 in helicopter crash. He served during Operation Enduring Freedom. He became a SEAL in December, 1999 and December of 1999 and immediately serve with SEAL Team 3. Later, the path led him to the SEAL Team 6. His death was later become publicly known as part of “Extortion 17”. “Extortion 17” is a name etched in our minds as one of the worst losses our military has ever experienced. Thirty Americans perished in the blink of an eye, half of which comprised an entire ‘troop’ from SEAL Team 6’s Gold Squadron. Senior Chief Robert James Reeves was one of those Americans. He would go on to cheat death on numerous occasions, both in combat and in peacetime. One of those occasions took place while on a six-month training deployment to the island of Guam in 2003. Rob and a few other SEALs were out celebrating Christmas at a local bar when they got into an altercation with two men. After leaving, the two men followed the SEALs and opened fire at their taxi from their own vehicle. Rob was struck in the back of the neck and a second SEAL was shot in the head. He would go on to make a full recovery. A couple of months after being shot, Rob would go to Virginia to attend selection and training (S&T) for entrance into the famed counter-terrorism unit, SEAL Team 6/DEVGRU. He successfully completed the selection process in late 2004 and was subsequently assigned to Gold Squadron where he would serve honorably for the next seven years as an assaulter and later, sniper. Senior Chief Special Warfare Operator (SEAL) Robert J. Reeves and Lt. Cmdr. Jonas Kelsall had been childhood friends in Shreveport, La., where they played soccer together and graduated from Caddo Magnet High School, Kelsall’s father, John, told The Times of Shreveport and KLSA-TV. Both joined the military after graduation, though the 32-year-old Reeves spent a year at Louisiana State University first, his father, Jim Reeves, told The Times. In his 13 years of service, eleven of which were spent as an active-duty SEAL, Rob would deploy over a dozen times, earn the rank of E-8, and earn countless achievement medal. His decorations include include four Bronze Star Medals with ‘V’ device for valor, Joint Service Commendation Medal with ‘V’ device for valor, Navy and Marine Corps Achievement Medal with ‘V’ device for valor, Combat Action Ribbon, two Presidential Unit Citations, three Navy Good Conduct Medals, National Defense Service Medal, Iraq Campaign Medal, Afghanistan Campaign Medal, Global War on Terrorism Expeditionary Medal, Global War on Terrorism Service Medal, Sea Service Deployment Ribbon, Navy Expert Rifleman Medal and Navy Expert Pistol Shot Medal. An Army Special Forces soldier will receive the Medal of Honor for fighting through an enemy ambush and saving his teammates’ lives 10 years ago in Afghanistan, the White House announced in late September. Former Staff Sgt. Ronald Shurer II, who had already received a Silver Star for his actions, was honored with the nation’s highest award for valor by President Donald Trump during an Oct. 1 ceremony at the White House. 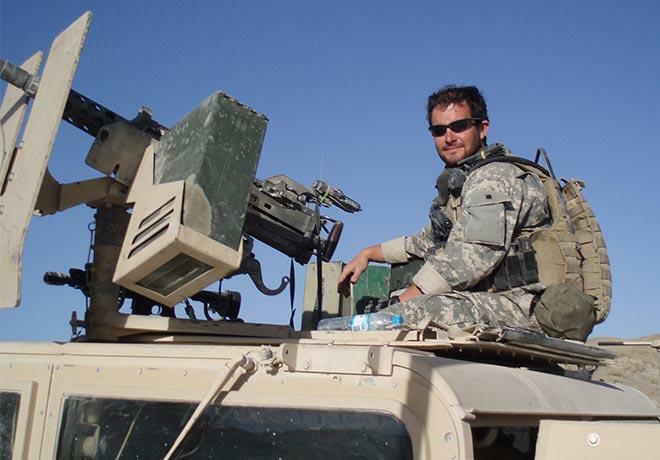 Shurer served as a Special Forces medic with 3rd Special Forces Group. Ronald J. Shurer II was born in Fairbanks, Alaska, on Dec. 7, 1978. The son of airmen, Shurer lived in Illinois and Idaho before his family was stationed at McChord Air Force Base, Washington. Shurer attended Rogers High School in Puyallup, Washington, where he was a member of the swim team and participated in triathlons and cycling. Following his high school graduation in 1997, Shurer attended Washington State University, where he earned a bachelor’s degree in business economics. Later that year, he enrolled in a master’s degree program at Washington State. After the events of Sept. 11, 2001, Shurer was inspired to follow in the footsteps of his great-grandfather, grandfather and parents by serving in the U.S. armed forces. Shurer entered the U.S. Army in 2002 and was assigned to the 601st Area Support Medical Company, 261st Area Medical Battalion, 44th Medical Command, at Fort Bragg, North Carolina. In January 2004, he entered Special Forces selection and reported to the Special Forces Qualification Course in June. After donning his green beret, Shurer was assigned to the 3rd Special Forces Group in June 2006. Shurer deployed to Afghanistan from August 2006 to March 2007, and again from October 2007 to May 2008. On April 6, 2008, Shurer and his team were assigned to take out high-value targets of the Hezeb Islami al Gulbadin in Shok Valley, according to the Army. 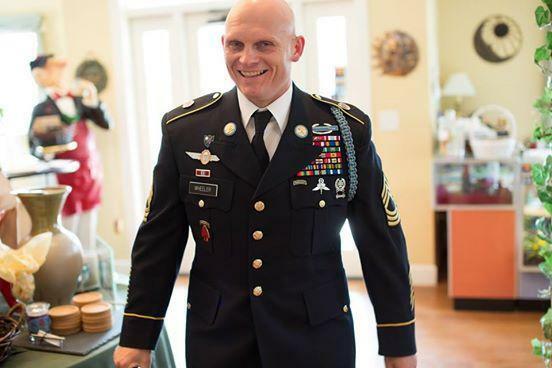 In a moment of the above-mentioned action, he was a Senior Medical Sergeant, Special Forces Operational Detachment Alpha 3336, Special Operations Task Force-33, in support of Operation Enduring Freedom. Then-Staff Sergeant Shurer and his team were engaged by enemy machine gun, sniper, and rocket-propelled grenade fire. The lead portion of the assault element sustained several casualties and became pinned down on the mountainside. Then-Staff Sergeant Shurer braved enemy fire to treat an injured Soldier. After stabilizing the Soldier, he fought his way across a barrage of bullets and up the mountain to the lead element. Once there, he treated and stabilized four more Soldiers. After treating the wounded, then-Staff Sergeant Shurer began evacuating them, carrying and lowering the casualties down the mountainside, using his body to shield them from enemy fire and debris. After he loaded the wounded in the evacuation helicopter, he retook control of his commando squad and rejoined the fight. Then-Staff Sergeant Shurer’s heroic actions saved the lives of his teammates. Today, he lives in Burke, Virginia, with his wife and two sons. After Army career, he went on to serve with the Secret Service, working as a special agent assigned to the Phoenix Field Office before being selected for the agency’s Counter Assault Team and assigned to its Special Operations Division.